← Why would aliens menace Earth? 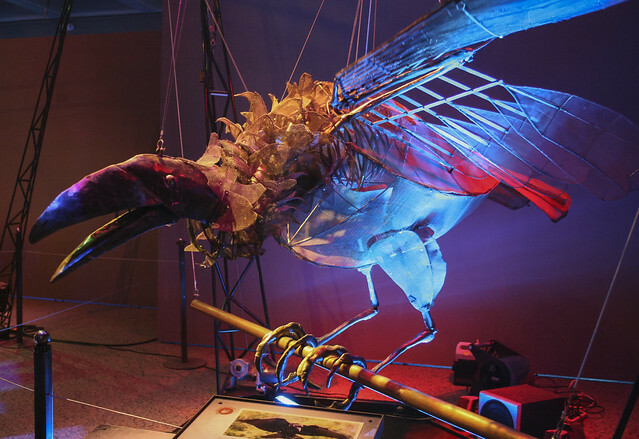 Where art meets science: Steampunk dinosaurs? 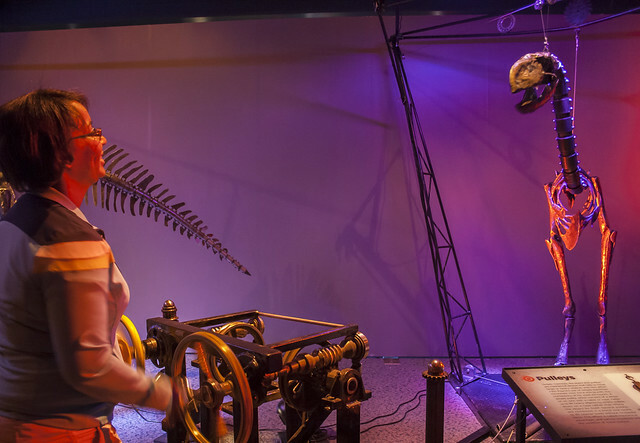 The life-sized skeleton sculptures of Dinosaurs in Motion weren’t steam-powered. Some moved when touched, their heavy heads bobbing on spring-loaded necks. Others operated like giant marionettes, hanging on a system of cables and pulleys, moved by cranks. Electric motors powered others, connected to video game controllers. 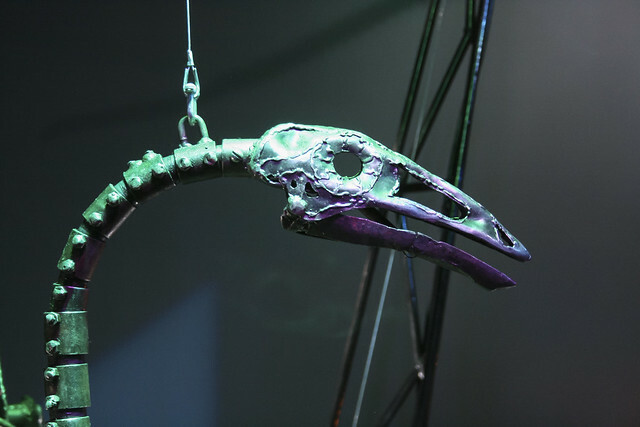 All were inspired by actual fossils but made of metal, bolts, springs, gears and the occasional bit of mesh from repurposed screen doors. Quite an experience, walking through this metal menagerie made by John Payne, who merged mechanical science and artistic craftsmanship to create something that would not be out of place in a steampunk novel. 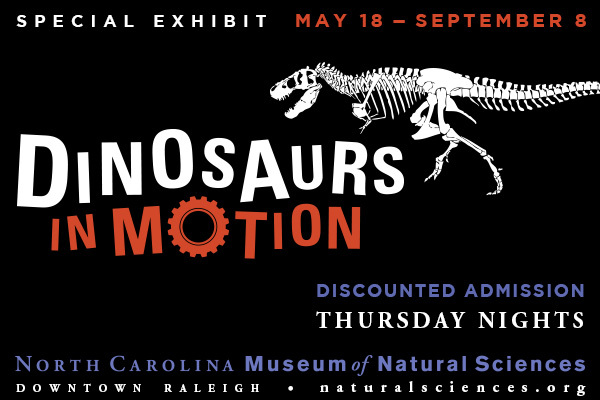 This entry was posted in News, Steampunk and tagged dinosaurs, Museum of Natural Sciences, NCMNS, North Carolina, steampunk. Bookmark the permalink. 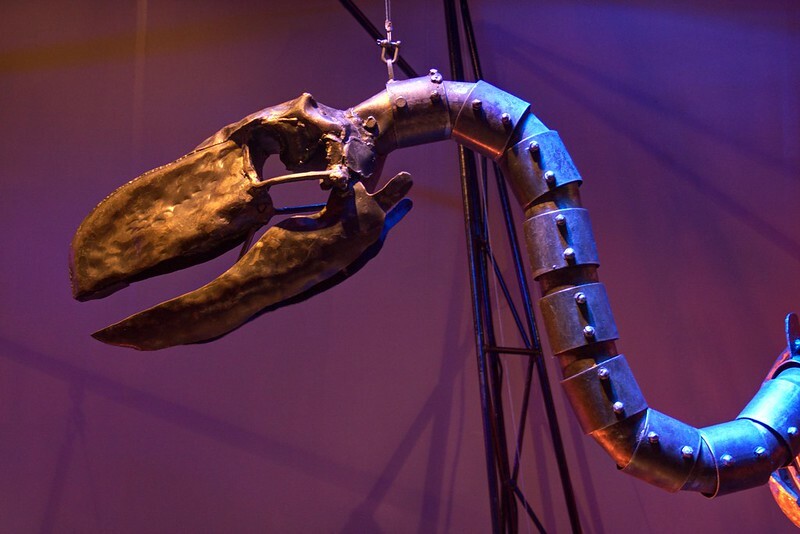 One Response to Where art meets science: Steampunk dinosaurs? They look amazing, Jen. And downright terrifying! Like you say, there’s a steampunk story in there. Would love to have seen them in action.